PLEASE BE ADVISED THAT THE EMBASSY NO LONGER ISSUES VISAS. ALL TRAVELERS WILL OBTAIN VISAS AT THE PORT OF ENTRY. A valid, signed US passport. The passport must have at least 6 months remaining after the completion of your stay in Zimbabwe, and contain at least one blank visa page. Visas are valid for 6 months and are effective from date of issue. Incomplete applications will be returned unprocessed; processed applications will be held until return postage is received . 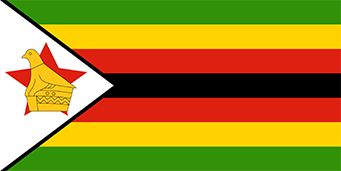 The Zimbabwe visa can also be obtained on arrival at Harare Airport and most border points.